The Whistleberry Glen neighborhood is slated for phase II of the Kingsbury Hollow project in Carver, MA. These magnificent custom homes in Carver, Massachusetts, will be built among acres of pine-forested conservation land and working cranberry bogs. Each 4-bedroom, 2.5 bath home features the finest in custom options, eco-friendly building materials and energy efficiency. Lots are limited. These quaint, environmentally friendly communities celebrate the natural features of the land. 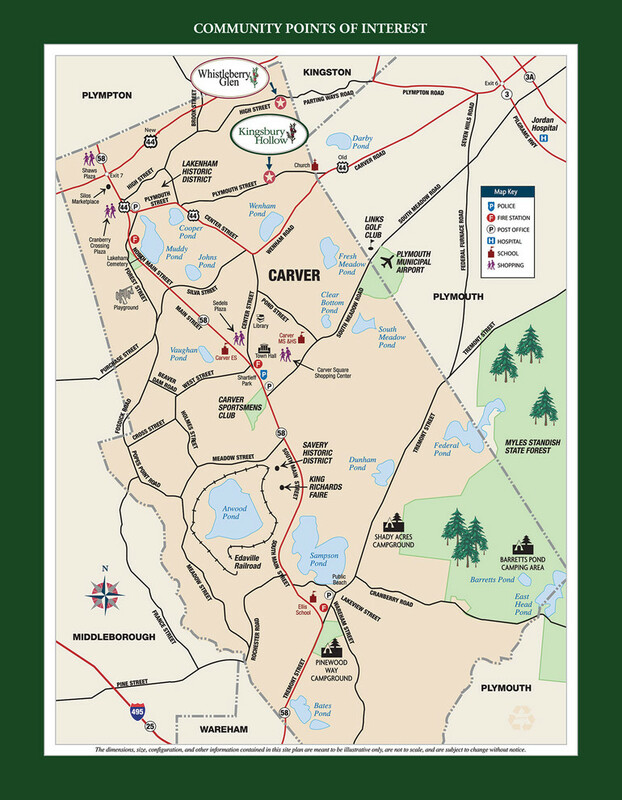 A functioning cranberry bog, underground utilities, and meandering trails will make you forget that you're just minutes from historic downtown Plymouth, the new Route 44, and I-495.